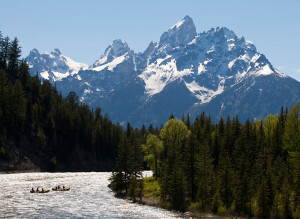 Since 1990 OARS Yellowstone Tours has provided rafting tours on the Snake River in Grand Teton National Park and sea kayaking tours in Yellowstone and Grand Teton national parks. 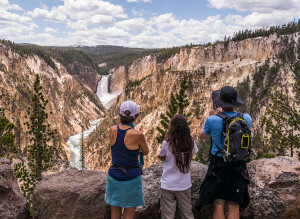 Our Yellowstone and Grand Teton tours stand out from other guided trips in the parks because of our focus on seeing the must-see sites without the crowds and our commitment to taking our guests beyond the boardwalks and paved pathways. 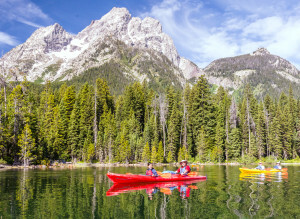 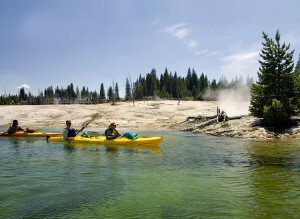 As the only park concessioner with an overnight permit for Jackson Lake in Grand Teton National Park, OARS offers one-of-a-kind paddling experiences, which provide access to some of the park’s most pristine lakeside campsites and remote hiking trails that are inaccessible to any other commercial outfitter.